A recent Swedish study published in the American Journal of Clinical Nutrition links the use of multivitamins among women with a possible 19% increase of in the risk of breast cancer. While this is a relatively small amount, breast cancer as a whole eventually affects approximately 12% of all US women, so the resulting risk factor is not insignificant. This result goes against that of several recent studies, which have found no link between multivitamins and breast cancer or cancer in general. An American study issued from the Women's Health Initiative, published in February 2009 in the Archives of Internal Medicine, studying 68,000 women for a median of 8 years, found no link between multivitamins and cancer. 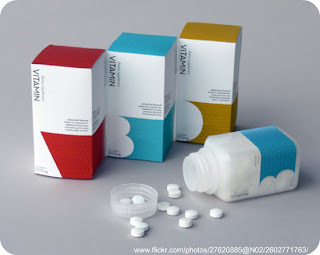 Another Dutch study, published in December 2009 in Public Health Nutrition, analyzed 3,000 women diagnosed with breast cancer and an equal number of controls, and found no link between the use of multivitamins and breast cancer. The latest observational study on vitamins and breast cancer, out of Toronto, CA, and published this week in the American Journal of Clinical Nutrition, focused Vitamin D and calcium. It followed 7,500 pre- and post-menopausal women. The authors found no relationship between total intakes or food intakes of Vitamin D and calcium, on one side, and breaks cancer risk, on the other side. Vitamin D intakes from supplements was associated with a 24% lower risk of breast cancer. All of these studies were observational cohort studies, meaning that they statistically calculated associations between different factors, such as use of multivitamins and incidence of breast cancer, after the fact, through the use of questionnaires. Observational cohort studies are extremely useful for finding possible hints of causal relationships, but they cannot prove causal relationships. On the other hand, some intervention trials - which do prove causal relationships if properly led - have shown benefits from using some vitamins with respect to breast cancer. In fact, as recently as yesterday, a Puerto Rican intervention study presented at the American Association of Cancer Research 2010 Annual Meeting, and published in the American Journal of Clinical Nutrition, showed up to 40% reduction in breast cancer for subject using both multivitamins and calcium, among 700 Puerto Rican subjects. Three years ago, a 4-year 2007 Creighton University intervention study, following 1,200 patients, and described in Medical News Today, showed significant benefits - 60% reduction and more...- associated with Vitamin D3 and calcium together in breast cancer prevention. Yet, almost simultaneously with this one, another large and well regarded cohort study, following 17,000 subjects, found no link between Vitamin D and overall cancer, although it found strong statistical links with a reduction in colorectal cancer, and possible links with a reduction in breast cancer. So what conclusion can we draw? How can these studies contradict each other, along with other studies as well? The first component of an answer is to look for possible flaws in the studies that might impinge their conclusions. The Swedish study has been found by some experts as not being strongly statistically significant. The head of surgical oncology at Newcastle's Calvary Mater Hospital, Professor John Forbes (quoted in this ABC News Australia story) considers that the results of the Swedish study are barely statistically significant and do not indicate what the outcome might be for women taking fewer vitamin tablets, and that studies into the benefits of vitamin D are far more compelling. The study seems to show very wide confidence intervals [i.e. bad] after correction for factors affecting participants that have strong association with breast cancer [such as use of postmenopausal hormones and the significant number of subjects that had never given birth,] and may have other flaws - see the interesting comments in this NZ Science blog. The Puerto Rican study covers a small number of patients -many of which might have started the study already vitamin- and calcium- deficient,- and may not have used totally appropriate methodology when adjusting for the number of cancers present at the start of the study. The Creighton study itself suffers from the small number of cancers included in the study. As for the other observation cohort studies, they suffer from the inherent flaw of all such studies - lack of ability to prove a causal relationship. In summary, all of these studies have flaws. Short of a new meta-analysis of all multivitamins studies, or a strong double blind intervention trial, the evidence is inconclusive. Dr David Katz, MD, of Yale University School of Medicine, and Dr. Lorenzo Cohen, Ph.D., of the University of Texas M.D. Anderson Cancer Center, generally concur on the opinion that there is no need to stop using multivitamins, but also that only people likely to actually need multivitamins will benefit from them, and that it is best to focus on food as a source for nutrients. We are not shucking our multivitamins yet. Like to read more about this? More information and opinions on the Swedish study on Reuter, WebMD, New Haven Register, 2010 Consumer Reports, 2009 Consumer Reports, Healthier Life (UK), CNN Medical Blog, Food Consumer, Huffington Post, and Medical News Today. The 2006 NIH Consensus Document, a rigorous and interesting summary from outstanding experts, although slightly dated, largely reinforces the present conclusions. Update: new references added. ACSH was edited out after further research showed unclear credentials for its funding sources. While we applaud their stated intent to focus on scientific facts, we feel that ACSH should be transparent about where its funding comes from, when commenting on issues of financial interest to its sponsors.